Hey kids, I just remembered who sent me here….. it was Mrs. Niki Cornett! Thank you very much! Now I want to show you something….. 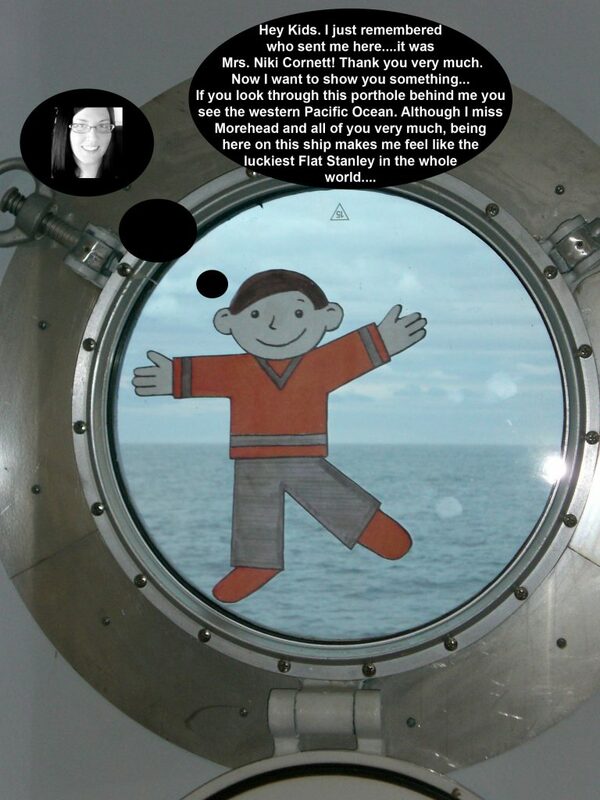 If you look through this porthole behind me you see the western Pacific Ocean. Although I miss Morehead and all of you very much, being here on this ship makes me feel like the luckiest Flat Stanley in the whole world!